Meal planning Monday – A few days ago, our freezer broke, for some unknown reason. It was only 20 months old so I’ve contacted the manufacturer to see what can be done. As a result of this, I’ve had to cook everything that was in there. Luckily, it wasn’t totally full because we’d used a lot of it over Christmas but it does mean we know what we’re having for the next four days dinners as they’re all made! Oh no! I hope you manage to get your freezer fixed or a new one. It's such a nightmare….Ours broke not so long ago. 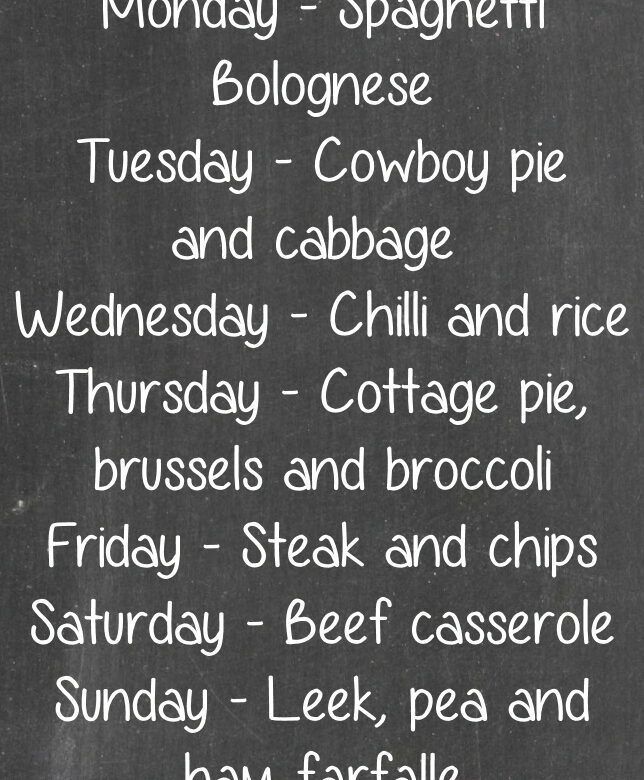 It sounds like you have a tasty week planned….